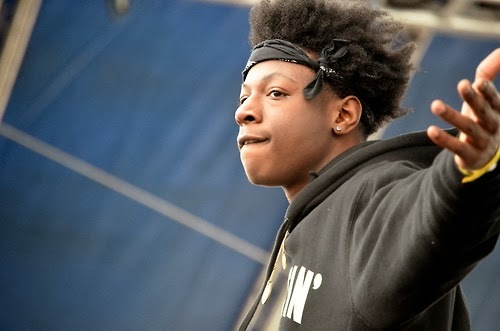 Joey Bada$$ featuring Meech, Issa Gold & Chuck Strangers – "My Jeep"
Joey Bada$$ is releasing the retail version of Summer Knights EP tomorrow, but released another cut today called "My Jeep." The song features Meech from Flatbush Zombies, Issa Gold of The Underachievers, and Chuck Strangers -- a solid group of features to have. The beat, typical of a song Joey Bada$$ hops on, has a old school feel, but each rapper drops some respectable bars as Strangers provides the hook. Stream below.